4) Genie Lithium Battery sourced outside China! 5) 30 Day No Hassle Satisfaction Offer! 7) 30 Days Satisfaction Offer! We welcome you to check out "HOW IT WORKS" "VIDEOS" "FAQ"
ECOvape has been formulated to be pure tasting with only the finest and fewest ingredients possible. 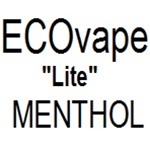 This menthol flavor is the "lite" version of our ECOvape Menthol "Strong". You'll experience the same pure, delightful, clean tasting and refreshing flavor. You'll also experience great vapor production and throat hit with a wonderful refreshing menthol after taste. 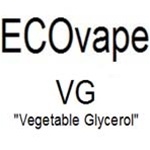 100% Premium Kosher VG base, 99.8% pure Nicotine and only Organic Ingredients makes ECOvape the perfect, pure choice. MUST BE AT LEAST 21 YEARS OLD TO PURCHASE. ECOvape has been formulated to be pure tasting with only the finest and fewest ingredients possible. Dark Rich has a sweet, deep rich tobacco flavor and finishes smooth. You'll experience great vapor production and throat hit with a wonderful after taste that is very flavorful. 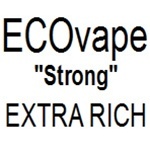 100% Premium Kosher VG base, 99.8% pure Nicotine and only Organic Ingredients makes ECOvape the perfect, pure choice. MUST BE AT LEAST 21 YEARS OLD TO PURCHASE. Whiskey: Ever wonder why smoking and drinking alcoholic beverages go together so well? With RiZe Whiskey, you don't have to wait till 5 P.M. to start enjoying the historic duo and you won't be asked to "walk the line" either! These 10 Intellicig EVO empty refill cartridges are offered in Brown or Black to fill with your favorite flavor e-liquid. MUST BE AT LEAST 21 YEARS OLD TO PURCHASE. ECOvape has been formulated to be pure tasting with only the finest and fewest ingredients possible. You'll experience a rich, deep flavor with a well rounded tobacco taste and a full body. This new and improved rich flavor has fantastic vapor production and throat hit with a wonderful after taste. 100% Premium Kosher VG base, 99.8% pure Nicotine and only Organic Ingredients makes ECOvape the perfect, pure choice. MUST BE AT LEAST 21 YEARS OLD TO PURCHASE. Tired of filling cartomizers? Try our easy to use cartridges available in White or Black. They come empty ready to use, just fill and snap onto our atomizer! NOTE: Requires atomizer which is sold separately on our site.